In recent decades, some people have wondered if DNA might provide any insight into Book of Mormon origins. 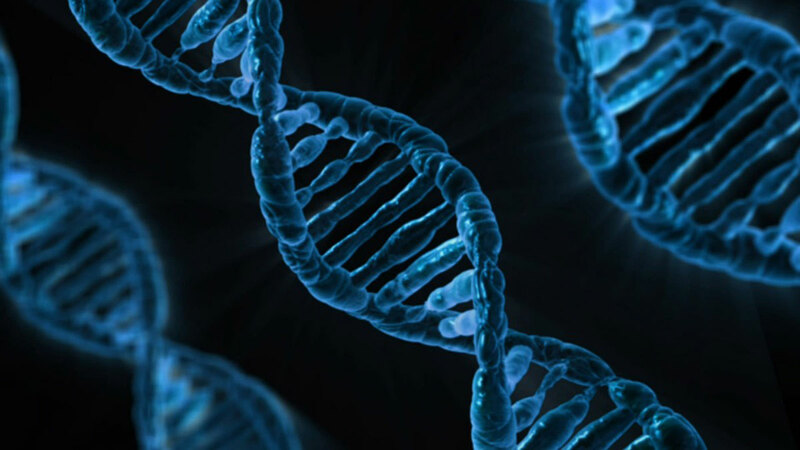 Among these, some have proclaimed that DNA science definitively disproves the Book of Mormon, while others have declared just the opposite, arguing that there is positive DNA evidence supporting the Book of Mormon. In 2014, the Church published an essay on LDS.org explaining the most rigorous thinking, current science, and the complicated issues related to testing the Book of Mormon using DNA. As explained in that essay, the actual science is more complicated than both of these extreme views have supposed. To date, genetic studies indicate that Native Americans are most closely related to East Asians, while no clear genetic relationship with the Middle East has been established. However, the best available DNA data has several limitations, making it likely that the migrations mentioned in the Book of Mormon would go unnoticed genetically. A key factor is that the Americas were already populated when Book of Mormon peoples first arrived. There is strong evidence that Book of Mormon peoples likely interacted with indigenous peoples almost immediately, forever complicating efforts to trace the DNA lineages of Jared, Lehi, Mulek, and their co-travelers. One important limitation is the simple fact that no one knows what Jared’s, Lehi’s, or Mulek’s DNA actually looked like. Simply assuming it looked like DNA from the modern Middle East can be deeply misleading. A common problem in population genetics, known as founder effect, appears when the founders of a population had atypical genetic markers for the region they came from. For instance, an LDS geneticist from Italy found that his paternal genetic marker was more typical of East Asian ancestry. If something similar was the case with the founders of Book of Mormon populations, identifying their descendants using DNA would be impossible. Even if Jared’s, Mulek’s, and Lehi’s DNA were typical of the regions of their origins, the reality is that most genetic information from the past does not survive into present populations. Most DNA studies on Native Americans are dependent upon DNA markers which pass from one generation to the next along paternal and maternal lines. Because such markers do not get mixed from one generation to the next, these lineages are easy to trace back several generations. However, in total they only represent 0.01 percent of a person’s DNA. Since these DNA markers only follow the maternal and paternal lineages, they leave out a lot about a person’s ancestry. For example, if one goes back 10 generations (only a couple hundred years in the past), they will have 1,024 ancestors in the tenth generation. However, the paternal and maternal DNA markers would only be able to detect one (for women) or two (for men) of these ancestors. This remains true even as the number of ancestors grows larger with each successive generation, meaning that the further back in time one goes, the less representative these markers become. The other 99.99 percent of a person’s DNA is halved and recombined at every generation, making it difficult to trace its genealogical origins. Even this DNA does not account for all ancestors. Geneticists estimate that the average person has DNA from only 12 percent of their 1,024 ancestors from just a couple hundred years ago, a percentage that gets lower with each generation further back in time. Thus, again, genetic evidence becomes less representative of a person’s complete ancestry as one goes further back into the past. Loss of genetic information is accentuated by what some geneticists call population bottlenecks—outbreaks of warfare, natural disasters, and disease. In addition to the bottlenecks documented in the Book of Mormon (Alma 43–62; 3 Nephi 8–10; Mormon 2–6), the pre-Columbian American population underwent one of the largest bottlenecks in human history after European contact, when perhaps up to 90 percent of the population died off. Finally, in the unlikely event that some DNA from the founding members of Book of Mormon peoples did survive in the present day, detection is complicated by post-Columbian admixture of Native Americans and Old World peoples. According to population geneticist Ugo A. Perego, current methods of dating genetic signatures are not sensitive enough to distinguish between post-Columbian admixture and any potentially pre-Columbian admixture within the last 3,000 years. Faithful Latter-day Saints should not be afraid to honestly admit that DNA analysis is inconclusive. The Book of Mormon holds up well under scrutiny and does not need to be propped up by improper use of science. 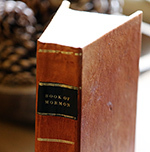 While genetic studies do not offer the evidence some have hoped for, many other disciplines such as archaeology, anthropology, linguistics, geography, geology, literary studies, and ancient legal studies continue to yield fruitful evidence which both supports and sheds light on Book of Mormon narratives. Some Latter-day Saints may be interested to know that despite the absence of his genetic signature, it remains likely that Lehi and his sons, living in the Americas 2600 years ago, are common ancestors of all Native Americans living today. According to basic statistical calculation and world population estimates, after going back 2000–3000 years, nearly everyone living then is a common ancestor for nearly everyone living now. See Thomas W. Murphy, “Lamanite Genesis, Genealogy, and Genetics,” in American Apocrypha: Essays on the Book of Mormon, ed. Dan Vogel and Brent Lee Metcalf (Salt Lake City, UT: Signature Books, 2002), 47–77; Simon G. Southerton, Losing a Lost Tribe: Native Americans, DNA, and the Mormon Church (Salt Lake City, UT: Signature Books, 2004). See Rod L. Meldrum, Rediscovering the Book of Mormon Remnant through DNA (Honeoye Falls, NY: Digital Legend Press, 2009). See, for example, Ugo A. Perego et al., “The Initial Peopling of the Americas: A Growing Number of Founding Mitochondrial Genomes from Beringia,” Genome Research 20, no. 9 (2010); Ugo A. Perego et al., “Distinctive Paleo-Indian Migration Routes from Beringia Marked by Two Rare mtDNA Haplogroups,” Current Biology 19, no. 1 (2009): 1–8. See Jennifer Anne Raff and Deborah A. Bolnick, “Does Mitochondrial Haplogroup X Indicate Ancient Trans-Atlantic Migration to the Americas? A Critical Re-Evaluation,” PaleoAmerica 1, no. 4 (2015): 297–304. For a discussion of the limitations of DNA science, see John L. Sorenson, “New Light: The Problematic Role of DNA Testing in Unraveling Human History,” Journal of Book of Mormon Studies 9, no. 2 (2000): 66–74; reprinted in The Book of Mormon and DNA Research, ed. Daniel C. Peterson (Provo, UT: Neal A. Maxwell Institute for Religious Scholarship, 2008), 1–21. For a reader-friendly, book-length discussion of this subject, see D. Jeffrey Meldrum and Trent D. Stephens, Who Are the Children of Lehi? DNA and the Book of Mormon (Salt Lake City, UT: Greg Kofford Books, 2003). See Book of Mormon Central, “Did Interactions With ‘Others’ Influence Nephi’s Selection of Isaiah? (2 Nephi 24:1; Isaiah 14:1),” KnoWhy 45 (March 2, 2016). See also John L. Sorenson, “When Lehi’s Party Arrived in the Land, Did They Find Others There?” Journal of Book of Mormon Studies 1, no. 1 (1992): 1–34; Matthew Roper, “Nephi’s Neighbors: Book of Mormon Peoples and Pre-Columbian Populations,” FARMS Review 15, no. 2 (2003): 89–128; reprinted in The Book of Mormon and DNA Research, 185–218; John Gee and Matthew Roper, “‘I Did Liken All Scriptures Unto Us’: Early Nephite Understandings of Isaiah and Implications for ‘Others’ in the Land,” in The Fulness of the Gospel: Foundational Teachings from the Book of Mormon, ed. Camille Fronk, Brain M. Hauglid, Patty A. Smith, Thomas A. Wayment (Salt Lake City and Provo, UT: Deseret Book and BYU Religious Studies Center, 2003), 51–65. John M. Butler, “A Few Thoughts from a Believing DNA Scientist,” Journal of Book of Mormon Studies 12, no. 1 (2003): 36–37; reprinted in The Book of Mormon and DNA Research, 23–24. See Ugo A. Perego, “Finding Lehi in America Through DNA,” in A Reason for Faith: Navigating LDS Doctrine & Church History, ed. Laura Harris Hales (Salt Lake City and Provo, UT: Deseret Book and Religious Studies Center, Brigham Young University, 2016), 179–192. “Unfortunately, no matter how large or small they eventually became as a people in the American continent, Lehi’s family still was a very small initial group with extremely limited genetic variation that would not constitute a large enough sample of their native population to ensure that their genetics would be properly represented in the New World” (p. 186). John L. Sorenson, Mormon’s Codex: An Ancient American Book (Salt Lake City, UT: Deseret Book and the Neal A. Maxwell Institute for Religious Scholarship, 2013), 249. 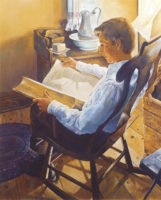 See D. Jeffrey Meldrum and Trent D. Stephens, “Who Are the Children of Lehi?” Journal of Book of Mormon Studies 12, no. 1 (2003): 44–46; reprinted in The Book of Mormon and DNA Research, 168–172. Ryan Parr, “Missing the Boat to Ancient America… Just Plain Missing the Boat,” FARMS Review 17, no. 1 (2005): 87, fig. 3. John M. Butler, “Addressing Questions Surrounding the Book of Mormon and DNA Research,” FARMS Review 18, no. 1 (2006): 105–106; reprinted in The Book of Mormon and DNA Research, 75. Perego, “Finding Lehi in America Through DNA,” 188. David A. McClellan, “Detecting Lehi’s Genetic Signature: Possible, Probable, or Not?” FARMS Review 15, no. 2 (2003): 35–90; reprinted in The Book of Mormon and DNA Research, 99–155. Ugo A. Perego, “The Book of Mormon and the Origin of Native Americans from a Maternally Inherited DNA Standpoint,” FARMS Review 22, no. 1 (2010): 216; reprinted in No Weapon Shall Prosper: New Light on Sensitive Issues, ed. Robert L. Millet (Salt Lake City and Provo, UT: Deseret Book and Religious Studies Center, Brigham Young University, 2011), 193. See also Jayne E. Ekins and Ugo A. Perego, “Is Decrypting the Genetic Legacy of America’s Indigenous Populations Key to the Historicity of the Book of Mormon?” Interpreter: A Journal of Mormon Scripture 12 (2014): 257; reprinted in Ancient Temple Worship: Proceedings of the Expound Symposium, 14 May 2011, ed. Matthew B. Brown, Jeffrey M. Bradshaw, Stephen D. Ricks, and John S. Thompson (Salt Lake City and Orem, UT: Eborn Books and Interpreter Foundation, 2014), 272. Michael F. Whiting, “DNA and the Book of Mormon: A Phylogenetic Perspective,” Journal of Book of Mormon Studies 12, no. 1 (2003): 35; reprinted in The Book of Mormon and DNA Research, 96. Gregory L. Smith, “Often in Error, Seldom in Doubt: Rod Meldrum and Book of Mormon DNA,” FARMS Review 22, no. 1 (2010): 17–161. For a sampling of some of these evidences, see Donald W. Parry, Daniel C. Peterson, and John W. Welch, eds., Echoes and Evidences of the Book of Mormon (Provo, UT: FARMS, 2002). Readers are also invited to review the body of previous KnoWhys for hundreds of examples. Matthew Roper, “Swimming in the Gene Pool: Israelite Kinship Relations, Genes, and Genealogy,” FARMS Review 15, no. 2 (2003): 159–163; Brian D. Stubbs, “Elusive Israel and the Numerical Dynamics of Population Mixing,” FARMS Review 15, no. 2 (2003): 165–182; both reprinted in The Book of Mormon and DNA Research, 253–256, 263–281, respectively; Smith, “Often in Error, Seldom in Doubt,” 86–88; Ekins and Perego, “Decrypting the Genetic Legacy,” 273.